Dr. Nancy is a native of Hampton Roads, Virginia. She is a graduate of Hampton Roads Academy, the University of Richmond, and the Medical College of Virginia Dental School. 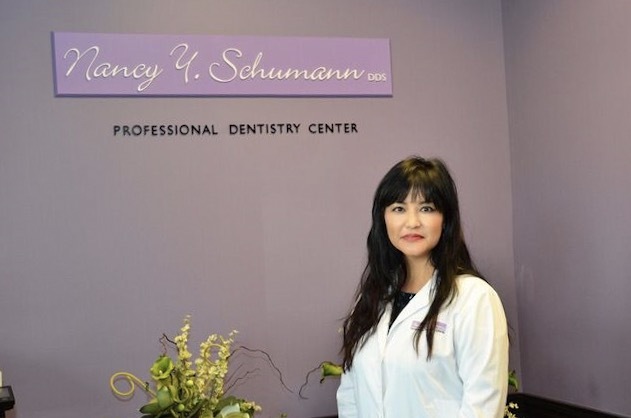 Dr. Nancy started practicing dentistry upon her graduation in 1994. She continues to participate in educational courses in order to ensure her awareness of the latest technology and procedures in dentistry. The office is proud to offer the latest laser technology with the Waterlase device. Lasers in dentistry offer convenient scheduling of complex procedures, quicker healing time, and no-anesthesia needed operative techniques. Her goal is to provide each patient with optimal professional care and to dedicate herself to the community. Dr. Nancy's practice approach involves the delivery of information to the patient in the form of digital pictures, treatment alternatives, and allowing the patient to dictate the scheduled pace of their individual dental needs. Dr. Nancy is the mother of two boys and enjoys participating in their school and sporting events. She also enjoys swimming, reading, traveling, yoga, and attending church. In addition, she supports the Hospice House of Williamsburg. She would like to thank her established patients for their loyal patronage over the years!